This seasoned potato recipe with yogurt dipping sauce was inspired by products I received to review at no charge however all opinions expressed here are my own. One of the things I love most about the holidays is the opportunity to get together with family and friends. Whether it is a big Thanksgiving dinner, a Christmas Eve gathering by the tree or a Saturday afternoon of watching football, having family and friends around makes the season a happier one! In my house, having guests over means that I must feed them. Not that they demand it (or at least not all the time! )…but something ingrained in my psyche says that if there are people visiting then I must cook for them. I love finding easy appetizer recipes that are also healthy. Not that I don’t love a good bowl of queso or a plate of fried cheese sticks but I tend to feel a bit ‘blah’ after I am done eating my fill. When I was asked to create an appetizer recipe that combined Simply Organic spices and Stonyfield Farm yogurt I was excited about the challenge. 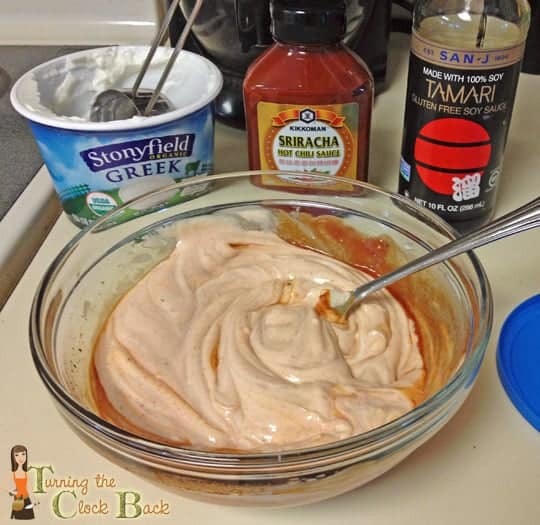 I almost always cut the fat in my dips by swapping some of the mayo or sour cream with yogurt. Doing this is a simple way to eat healthier without making a huge sacrifice in flavor. I find that the addition of Stonyfield Farm Greek yogurt gives the dip a tangy flavor that is absolutely delicious. Organic herbs and spices make a yogurt dip an even tastier way to snack. French fries are always a huge hit for munching on during a football game but the ‘fried’ part of that name means that they aren’t always the healthiest choice. Also, many of the packaged French fries on the market today are very heavily processed. For a food that should simply contain ‘potatoes’, if you look at the ingredient list you will often find a lot more than that! With just a bit of olive oil and some Simply Organic spices I created a plate full of delicious homemade herb seasoned potato wedges that went perfectly with the spicy yogurt dip I made. Instead of fried and processed we ate baked and natural! The holidays should always include less guilt and more snacking! For the potatoes: Cut potatoes into wedges and toss with olive oil and spices. Place on a cookie sheet lined with aluminum foil. Bake in a 425 degree oven for 20 to 30 minutes or until lightly browned and tender. For the dip: Mix all ingredients in a small bowl until well blended. Chill 15 to 20 minutes to combine flavors. 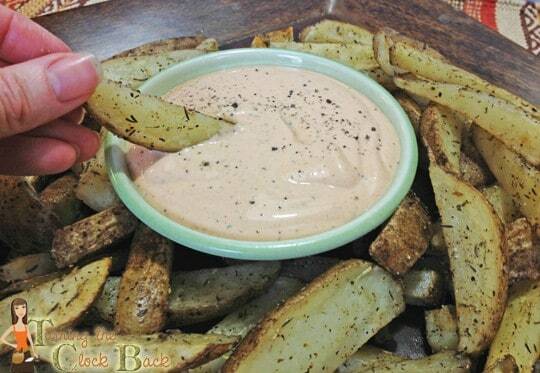 Serve hot potato wedges with chilled dip and enjoy! I have been given permission to give one of my readers the same gift package from Simply Organic that I received (shown above). This is a Giveaway Tools contest so follow the directions in the form below to enter. This seasoned potato recipe with yogurt dipping sauce was inspired by products I received to review at no charge however all opinions expressed here are my own. My favorite dish to serve has to be enchiladas or lasagna! Oh yum. That does sound good! Oh, roast turkey with dressing. I like to serve a hot mexican cheese dip along with a hot spinach dip for my guests. My favorite party dish to serve would have to be chicken cordon bleu! My favorite dish to serve guests is chicken enchiladas! I like to serve guacamole, freshly made. Everybody loves! I love making taco salad! I serve up my famous first love chili! I love to serve flavorful soups/chowders seasoned with organic love! This time of year my grass-fed bison chili. But also like serving homemade Kale Chips… perfect snack to enjoy while watching football! I love serving mahi mahi with a rasberry glaze over brown rice and a dark green veggie like broccoli asparagus. Dont forget dessert! My favorite dish is a grilled garlic rosemary pork tenderloin. Delicious! 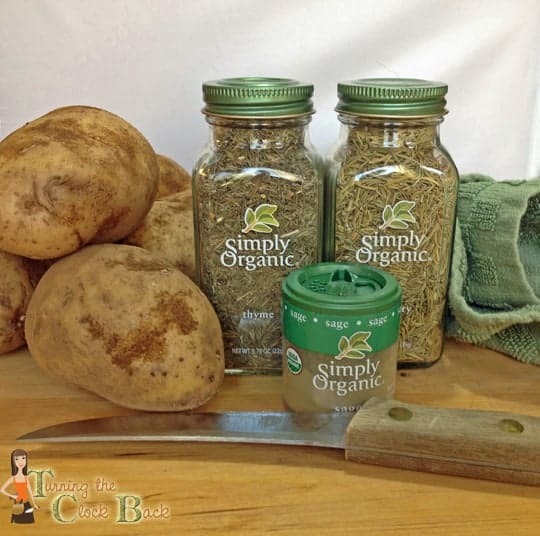 I love serving roasted fingerling potatoes in hickory sauce! For guests, lasagna is always a hit. I love to make tortellini Alfredo with a Caesar salad when we have company! Thanks for the great giveaway! I love to serve my mother in law's famous hash brown casserole!! My favorite dish to serve guests is parmesan stuffed mushrooms basted with butter. I like to serve fresh fruit with a dip for my guests. I like to serve pasta with fresh seafood. I like to serve a macaroni and cheese dish. I also serve chick cordon bleu quite a bit to guests. I love serving my guest stuffed shells with garlic bread. I love to serve guests Classic Boeuf Bourginon like Julia Child used to make! I like serving my baked macaroni and cheese, but I serve it as a side dish. I like to serve my stir fry and fried rice. Favorite dish to serve is Lasagna! My favorite dish to serve is Stuffed Shells-half with cheese, half with meat. My favorite dish to serve guests is pizza puffs! They are made in muffin tins but they taste like a pizza and are delicious! My favorite dish to service guests is lasagna! I like to serve chicken enchiladas with green sauce and a tossed salad to guests. Lasagna is my favorite dish to serve. Thank you for the nice giveaway! My favorite dish to serve is praline bundt cake. I'm known for my homemade guacamole and muffins of all kinds! My favorite dish to serve guests is Taco Casserole, it is always a big hit. Chili! I love playing with the spices to get it just right, and it's fun to learn what everyone's idea of the perfect chili is. I love to serve them chili with all the fixins. We are casual, my guests get vegetarian chili or take out pizza! I like to make roasted chicken and steamed veggies when my family comes to visit. Steak on the grill is my favorite dish to serve. We love to have food themed parties on New Year's Eve. It's fun to do Mexican, Chinese, German, Fondue, or mix it up and do a variety. Always great fun! Merry Christmas, everyone! I like to serve grilled steaks with steamed broccoli, dinner rolls and a great salad. I like to make burritos and Mexican rice for guests. most of our dinners are in the warmer months so we grill, hamburgers, chicken, and pork chops. My favorite meal to serve is brisket. Homemade Hummus with pita chips. I love to fix greek yogurt orange dreamsicle cake! I like serving pork roast with potatoes and carrots. I love to serve fajitas! I like to serve a big pan of lasagna with garlic bread and a salad. Thanks for having this contest. Fried chicken and garlic mashed potatoes. My favorite dish to serve guests is my teriyaki chicken. I'm not a terribly great cook but guests do love my Hawaiian chicken. I like to make Pork Carnitas! Everybody loves it. Buffalo Chicken Dip is my favorite to serve to guest. My favorite dish to serve guests is my lentil dip (with chips), dal (Indian) style. I love to serve Lasagna. I like to serve lasagna to my guests. I have a delicious recipe for oyster stuffing and I no longer wait until Thanksgiving to bring it out. I don't really have guests over but if I did i'd make them my crock pot bbq ribs. I think it would be Spaghetti . I like pork roast in the crock pot. It's really easy and so good. Lasagna is my favorite dish to serve guests. Making stuffed Jalapeños is my favorite dish to make for guest!